So there are two things that are very evident from my photos this week. I am really digging the awesome hawks and I love my boys! I would love to take a truly inspired photo everyday, but it's just not realistic for me. 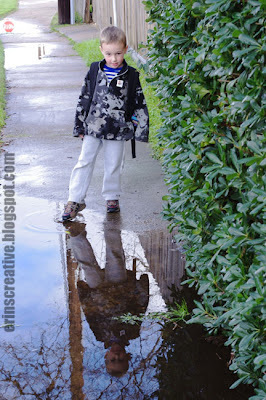 I do love that I am capturing everyday moments, because they are the moments that I reflect on. They are the moments that I really cherish and this week, there are a few of those moments. February 7 - Peek-a-boo! 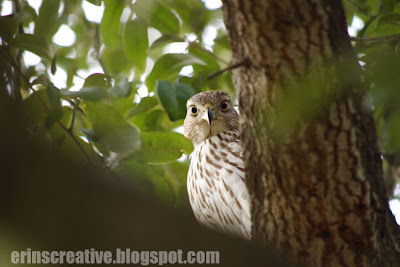 Another Sharp-shinned hawk. February 8 - I finally caught a great picture of Maben's beautiful eyes. 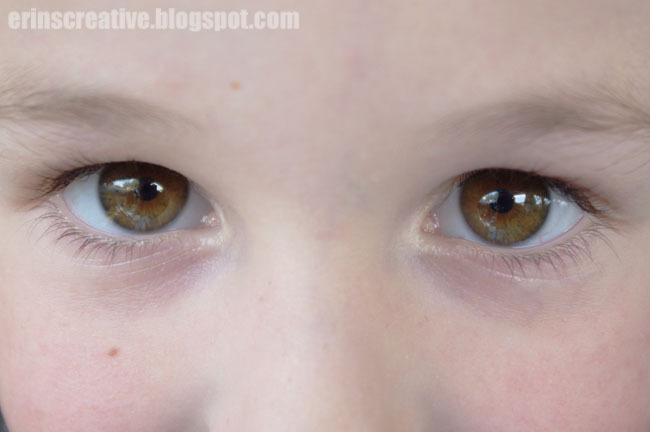 They are a hazel/green and not just any green, they have a tendency to be an olive green. Gorgeous, just gorgeous. 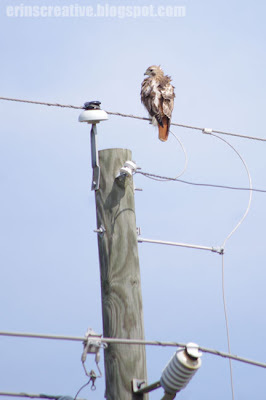 February 9 - I spotted a very fluffy looking red tailed hawk hanging out on the power lines on a windy day. February 10 - My boys having lots of fun. Who doesn't like to dog pile? 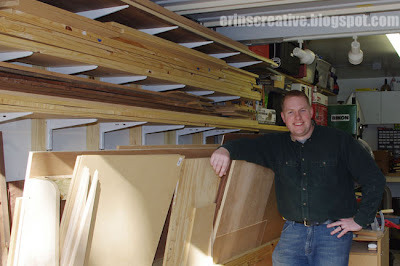 February 11 - Hubby and his lumber rack. Finally complete! 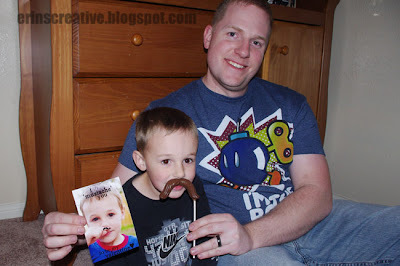 February 12 - Maben presented daddy with his Valentine early. February 13 - Maben gauging my response. Smart little guy! I love that shot. "If I put a toe in and she doesn't react, I'm making the biggest splash you have ever see!"